Got a New Year's resolution for your family? There's an app for that! Keeping New Year’s resolutions for ourselves can be difficult, but keeping those we’ve made for our families is even tougher. At Family Zone, we feel your pain so we’ve scoured the app store for the top apps we believe will help families keep some of their New Year’s resolutions in 2017 and evermore. The Yummly app is heaven sent for busy families. 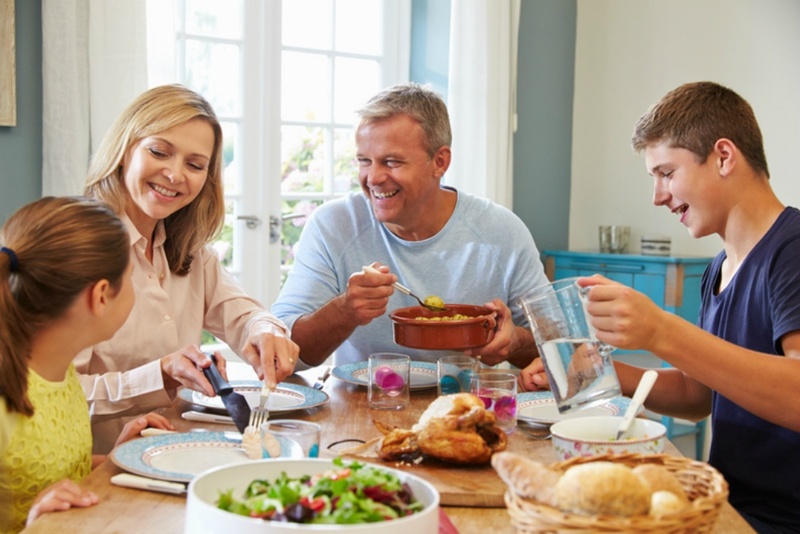 Login and set up your family profile with allergies, likes/dislikes and any other dietary requirements plus your cooking ability to filter from millions of written recipes and instructional videos. It’ll also create your shopping list sectioned by department to help you navigate the supermarket in record time. Believe it or not, the Google Calendar really is the best free scheduling app available as it will sync with your smartphone calendar to ensure all of your events are never missed. By sharing it with your family members you’ll ensure everyone is aware of upcoming events and weekly plans. Getting the children off to sleep quickly and easily can be one of parenting’s greatest challenges. This popular meditation app now has a kid’s version which includes child friendly breathing and visualisation exercises to do before bed. Sworkit Kids is a popular exercise app with workouts to increase strength, agility and flexibility with fun in mind. You can take your children through the workouts as their own personal trainer or let the app become your family’s personal trainer so everyone can work out together. Reducing screen time can be an easier task for adults, if we really want to. However, children lack the desire and willpower to put down the iPad or their phone in favour of playing outside or having a conversation that doesn’t require internet access. When installed on your child’s devices our app will manage screen time, control social media access and block inappropriate content. By setting your child’s routine via the online portal you can ensure they’re safe whilst online, but also let you decide when they should be offline altogether. We spend alot of our time at Family Zone researching apps to discover which are unsafe, to help you protect your children. But we often stumble upon apps which will provide your family with a positive experience. Family Zone and our team of Cyber Experts can help you sort out what apps are appropriate for your child, and provide you with the tools and resources to help you navigate this journey.